This year’s Fall colors on my porch are deep pinks, purples and teals. 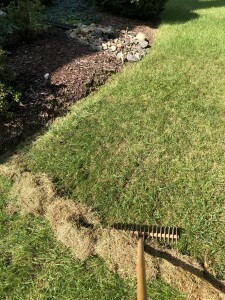 I am getting the gardens ready for Fall, and it has been a beautiful weekend for doing the last bit of weeding and edging. 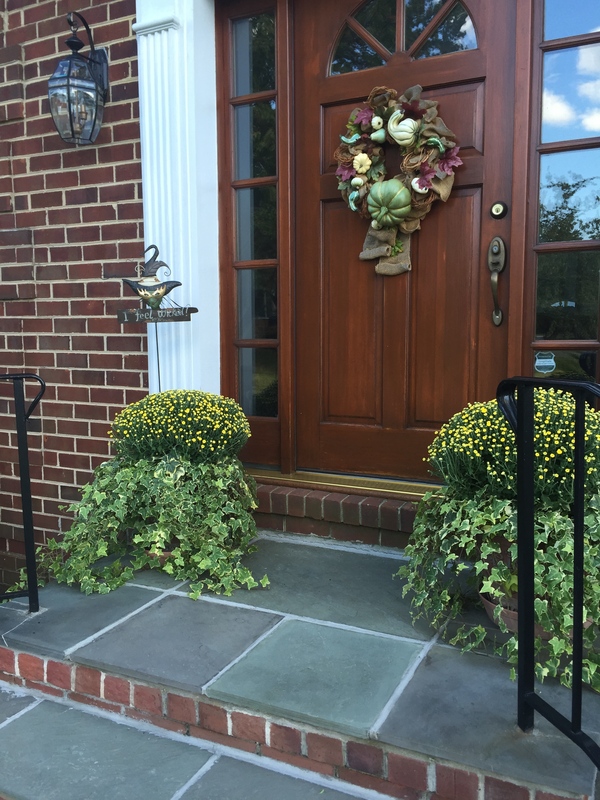 Although the chores are not much fun, I rewarded myself by getting some gorgeous additions for the front entrance: ornamental kale, mums, violas, eucalyptus and some variegated ivy that I will use to add some punch. This year there are some very interesting colors in the selections at the nurseries. 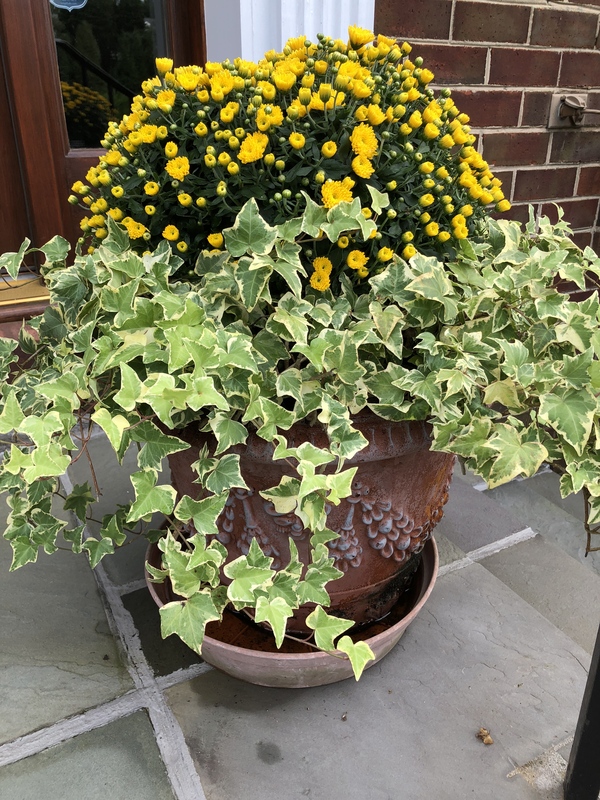 I was inspired by a really beautiful kale, and I am pulling various shades of purples, deep pinks and a teal green from it and adding some bright accents with the ivy and the violas. This ornamental kale was my inspiration for the Fall colors I chose this year. As the season progresses, I will add pumpkins and gourds for Halloween, and for Thanksgiving I’ll add some Indian corn. Here again, the choices are amazing — the gourds I’ve seen have so many beautiful greens and ivories, not just the traditional oranges and yellows of yesteryear. Normally by this time of year summer annuals would be in decline, but our strange year once again is proving to be different. It seems that we are having a very late Autumn in the mid-Atlantic region. 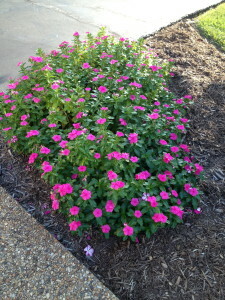 Barely anything has changed color, and most of the summer annuals are still blooming well. Because of this, I am going to break one of my cardinal rules. I am normally not one for mixing seasons, and I like to give each season its special time to shine, but it makes it hard for me to remove the summer flowers when they are all still looking so pretty. 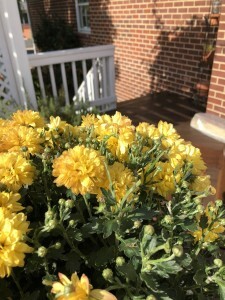 (I know, I get too attached to my babies… I mean my flowers, LOL!) 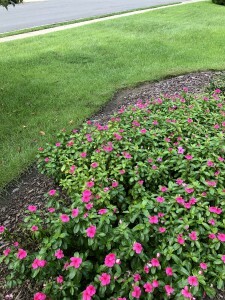 In order to make the summer flowers work in the design, I bring in texture and color that will coordinate with the vinca and the mandevilla vine which are still thriving. 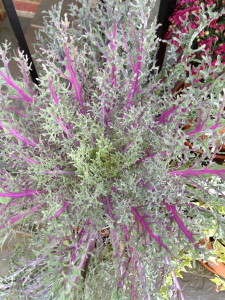 They are both deep pink, so I especially like the combination with the kale! 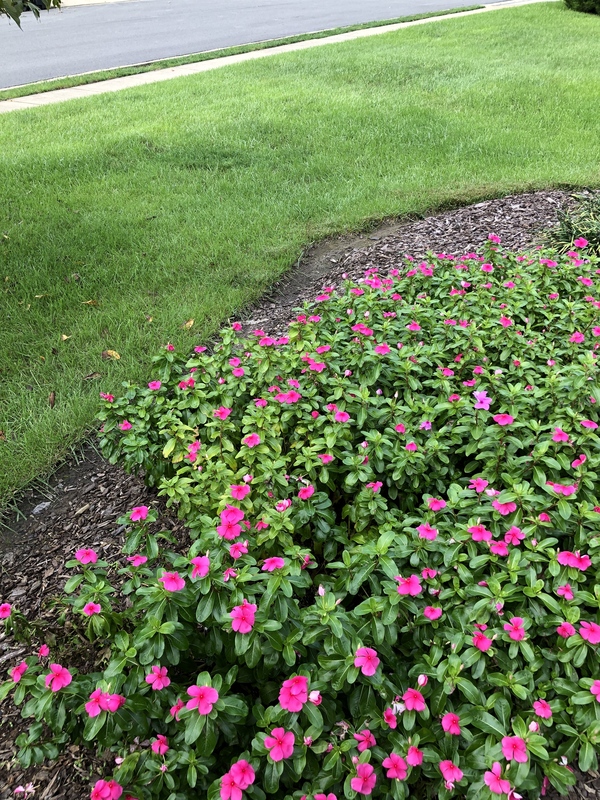 This is normally where I would have installed pansies, so when the frost arrives (and the vincas pass on to flower heaven), I will replace them with some pansies or violas. 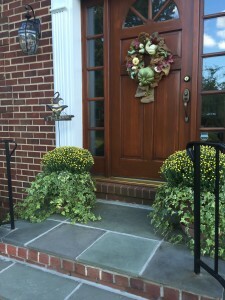 I love to have some flowers on each side of the driveway to welcome us home year ’round since that is the entrance most used. 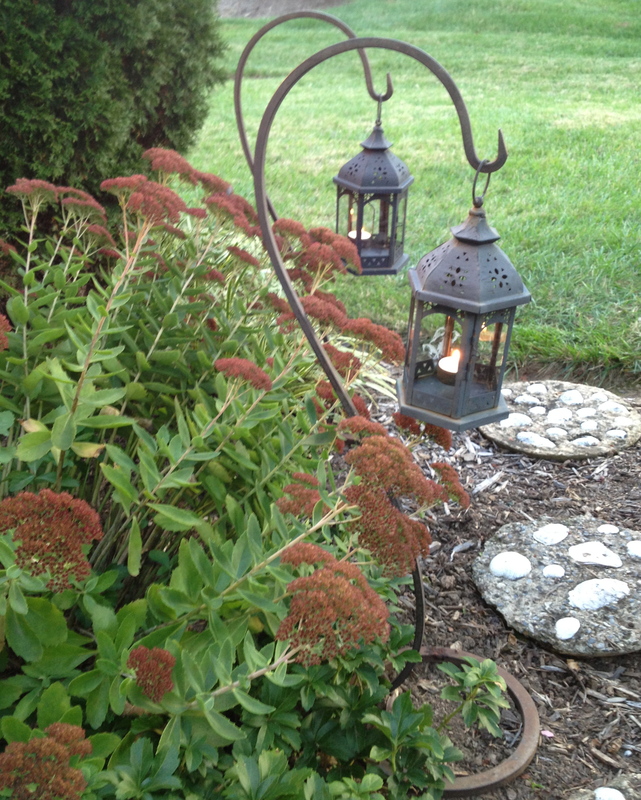 Lanterns on shepherd’s hooks are a great portable way of lighting a pathway — or anywhere else! I have been so taken with gorgeous candle lanterns from magazines and in pictures that I have seen lately. I love to make the garden come alive with light especially on Halloween and when guests are expected, so I will be adding all my lanterns here and there along the walkways. 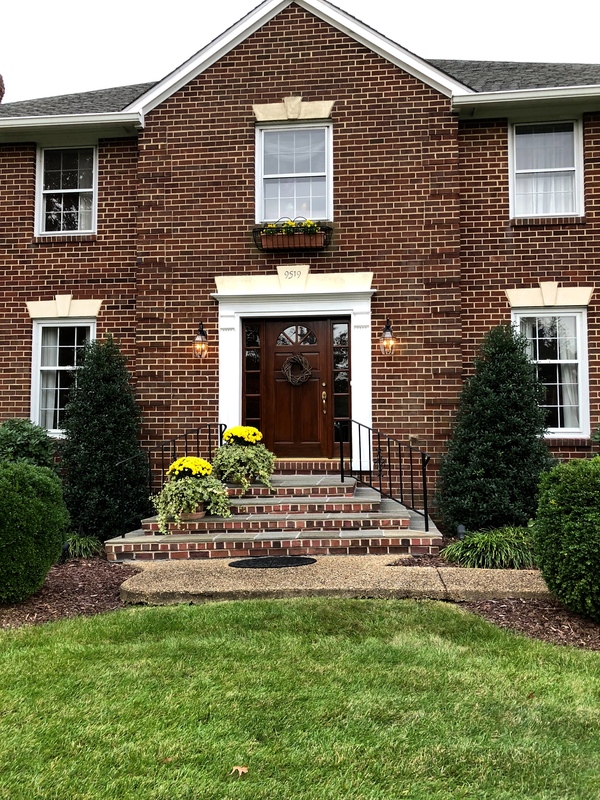 In addition, there is some beautiful uplighting in the trees and against the house, which have been in place now for many years. I just love the look, and it really shows off the trees at night in a very interesting way! If safety is a concern, battery-powered candles can be substituted in lanterns for real ones. 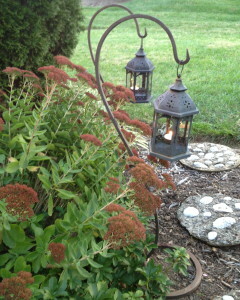 Another easy way of adding lighting is with solar lights, no wiring involved. It seems technology is really improving at a rapid clip in this field, and there are some really pretty styles now, unlike the clunkers of a decade ago. 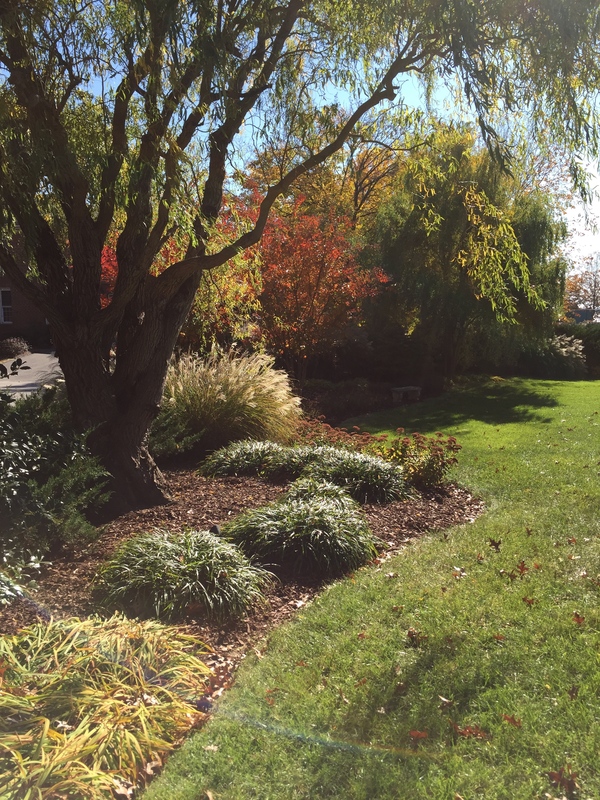 Fall is a season full of beauty, and it’s so nice to have some cool fresh air again. I hope you can find some time to get out and enjoy what Mother Nature is giving us. Please let me know what is inspiring you this season. Happy gardening! 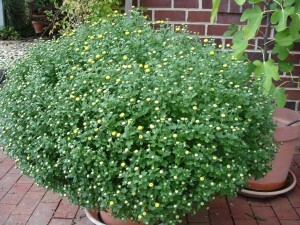 Chrysanthemums have an entire new set of flowers beneath the first set. 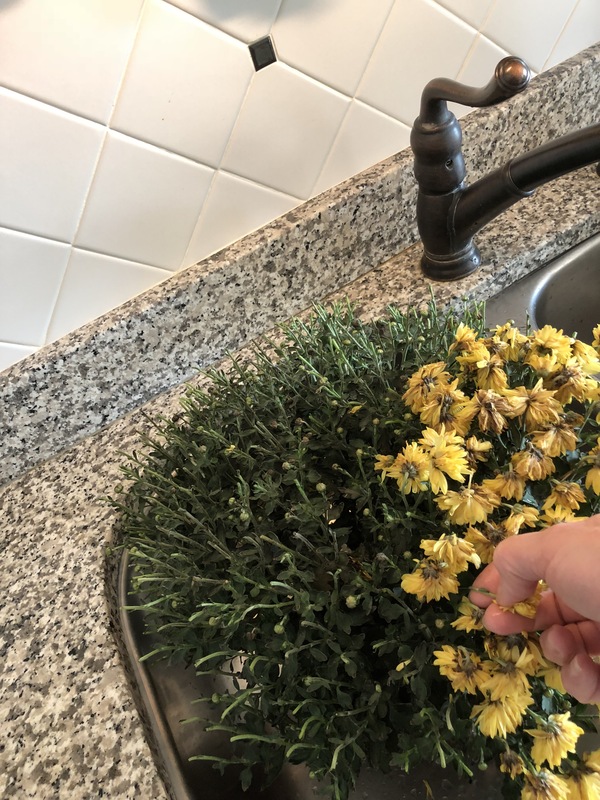 Deadheading will result in double the flower time! 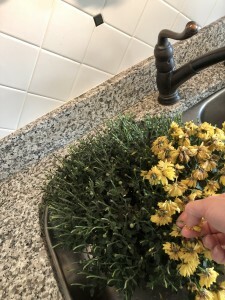 Perennials, as you know, only bloom for a month or so, and then you are left with an ugly mass of dying flower heads and usually declining foliage on the remainder of the plant. 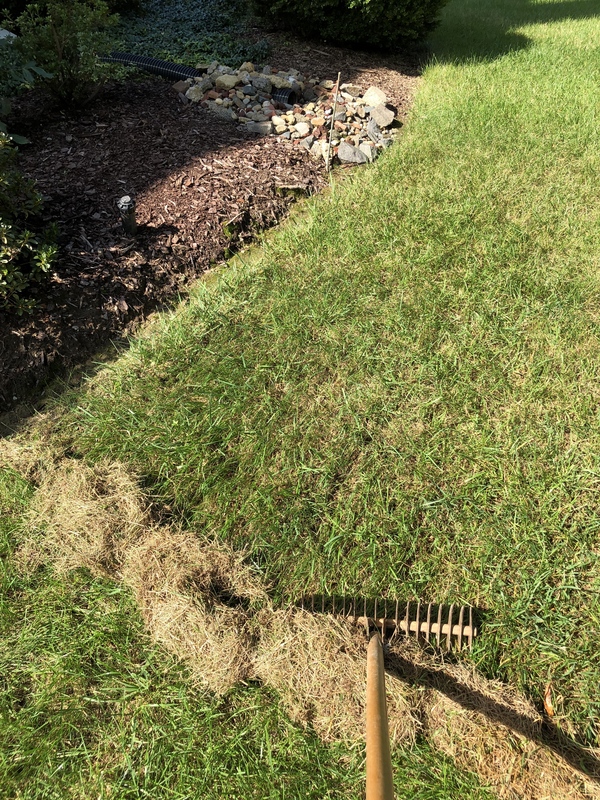 I am often asked about what to do and when to cutback, as opposed to just deadheading, and when to just tear something out. There are many tips I can share with you on all of these questions. 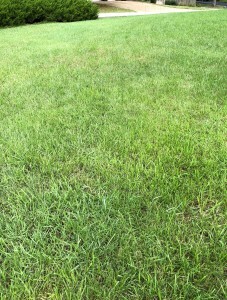 Many plants benefit from cutting back after they bloom. I regularly cut back the foliage on the hosta, yarrow, daylillies, salvia, lamb’s ears and iris to just above the crown of the plant when the flowers are finished. 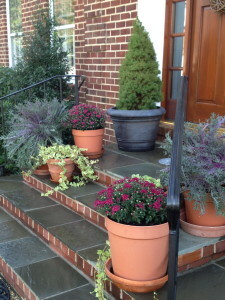 The foliage will re-sprout, and the plants will look fresh throughout the rest of the growing season. This is true with many perennials and herbs. 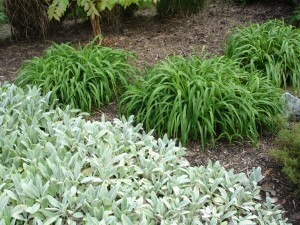 Here is an example of the second growth on daylillies and lamb's ears. Once the flowering has stopped, cut back to just above the crown and you will be rewarded with a fresh new crop of foliage to last the rest of the season. 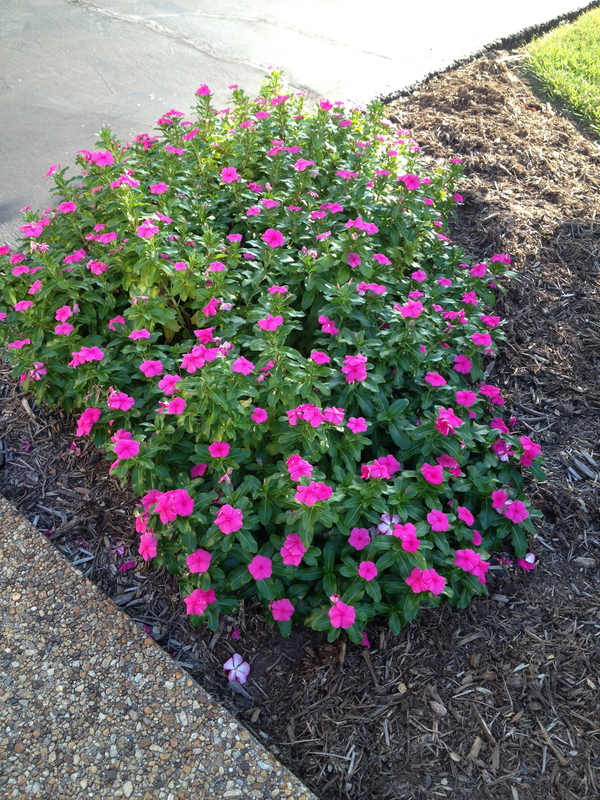 Deadheading is a good way to keep your annuals looking at their peak. I would also recommend this for roses all throughout the summer and fall. Even some perennials like mums and dahlias will have a repeat bloom if deadheaded, giving you a repeat performance in the same season. This is also true of pansies. Budget tip: I prefer to plant pansies in the fall, they will come back into bloom in the spring in all their glory, giving you two seasons for the price of one! 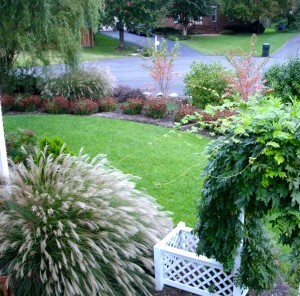 I reserve tearing out only for the annuals, and usually between mid-September and mid-October. When the temperature at night starts falling into the 40’s the flowers decline rapidly, so this is when I like to replace them with pansies, ornamental kale or cabbage, or some other Autumn beauty. 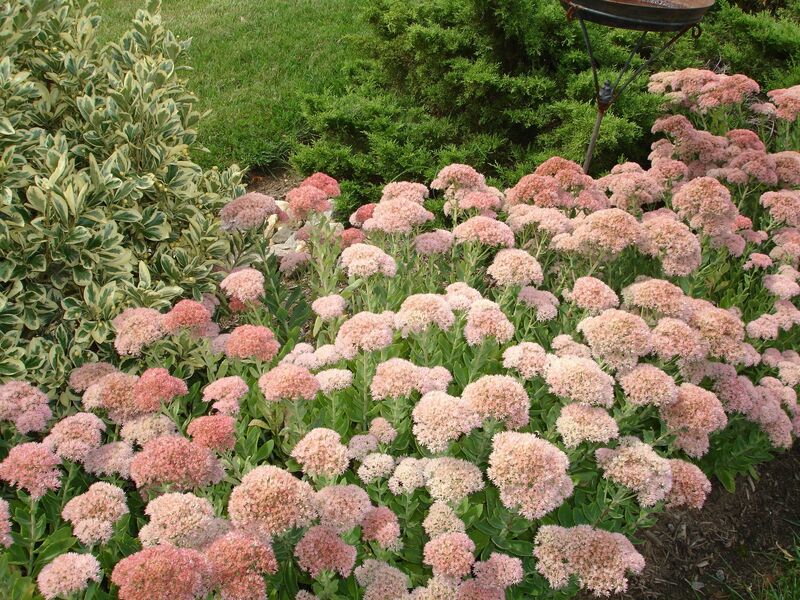 Cutting back Sedums and Mums mid-season will yield fuller, more compact plants which will be less prone to splitting open under the weight of full blooms. 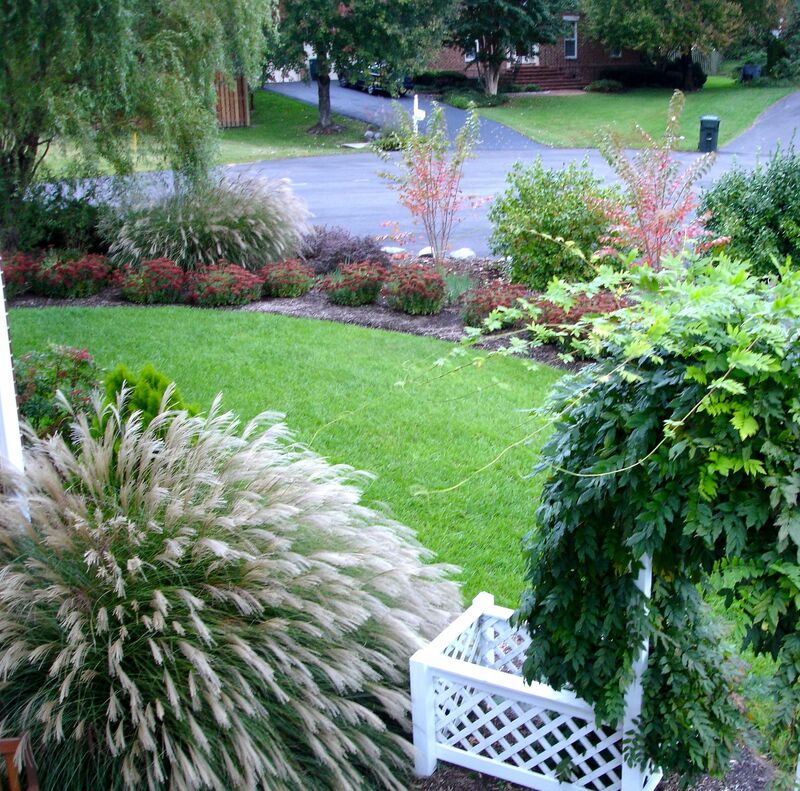 When laying out your garden design make sure to consider the texture of the foliage. Try to group differing kinds, because this will give you visual interest when the plants are not in bloom. I also try to stagger the groups in drifts so that as one is blooming it can mask the decline of another variety. 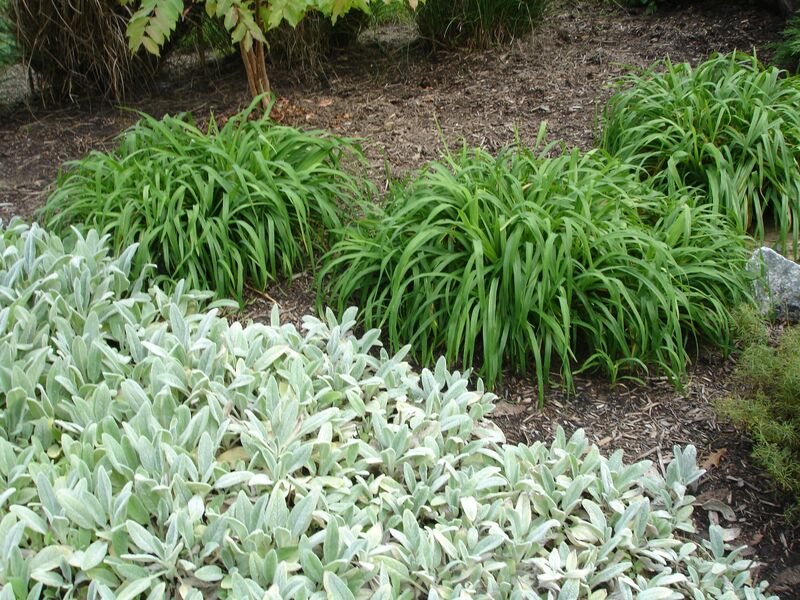 For example: If you plant daylillies and daffodils in the same place, the foliage from the daylillies will hide the daffodil leaves as they decline for the season. 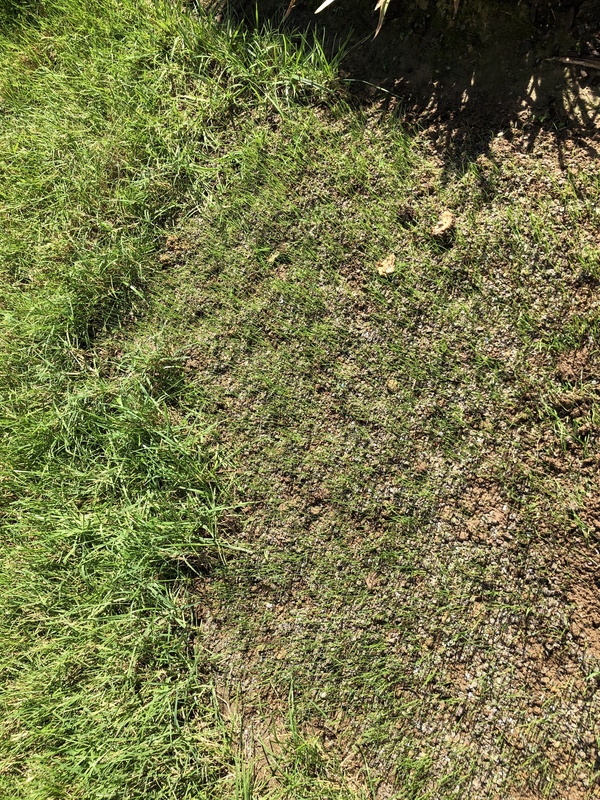 This is also a good time to give the mulch a good scratching up to make it look fresh again, and give it one last application of a weed preventer for the year. 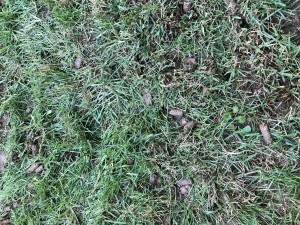 Fall weeds are really tough, so I do what I can to prevent them from ever starting. 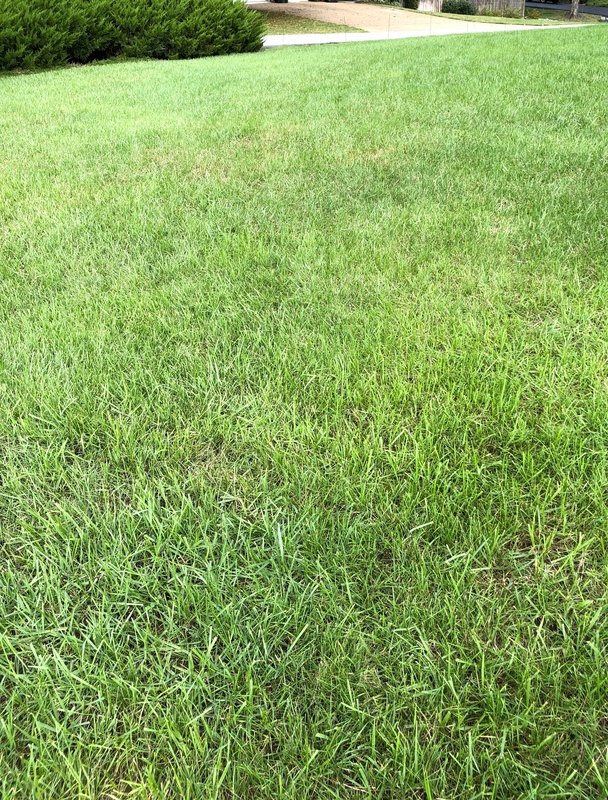 One last tip to take your garden over the top health and beauty-wise is to apply a coating of Horticultural oil (Volck oil) to your foundation plants. This will safely keep the spiders off while giving your plants a really beautiful sheen. 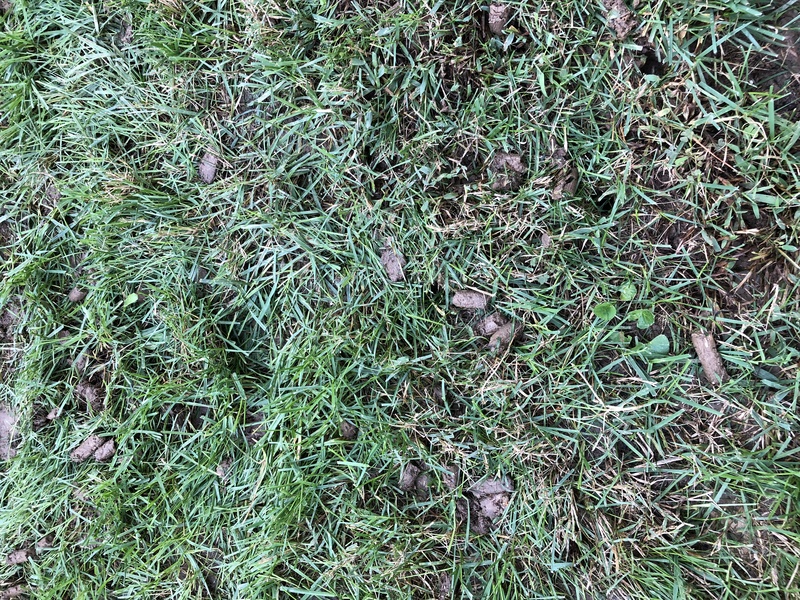 This will also protect the leaves from winter burn. 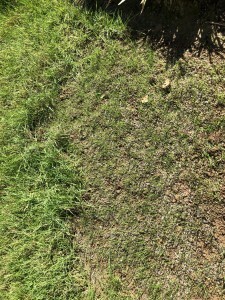 I find the easiest way to apply this is with a hose end sprayer, but you can also use a pump sprayer for smaller gardens. With just a little bit of change your garden can be just as striking in the Autumn as it is in the height of the growing season. Enjoy!